Congratulations! Web Hosting Hub has made a special offer available to you. Take advantage of $1.95/mo for 3 months and a discounted $3.99/mo rate when you purchase their 2 year hosting plan. More details. So what’s the difference and what do we recommend? We strongly recommend choosing the Main Plan which is the default sign-up option, especially if you are a new webmaster just getting started on your website empire. 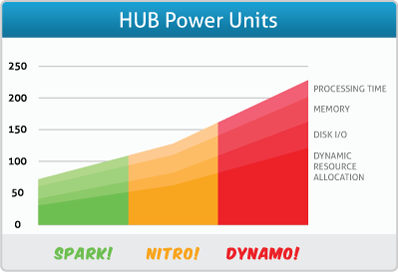 As you can see on the left, as you grow, you can grow your processing power, memory, disk requests and boost your resources allocation as needed with the pricier Nitro or Dynamo plans. Web Hosting Hub offers a 90-day money back guarantee so feel free to take advantage of their promotional discounts with longer-term purchases. 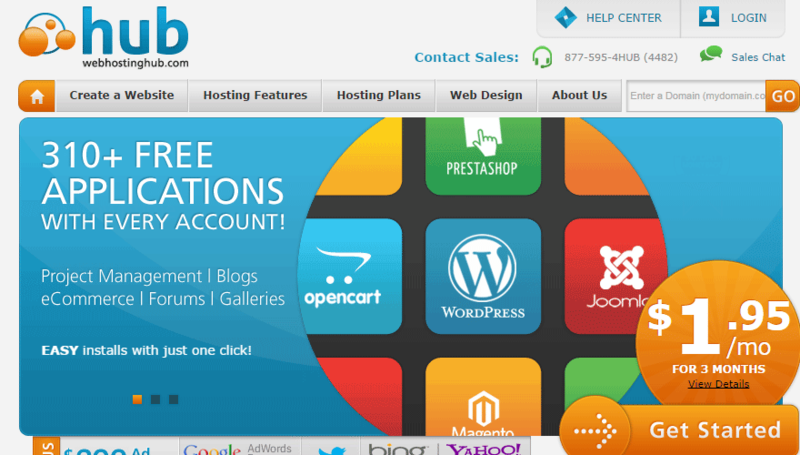 Have experience with Web Hosting Hub? Awesome! Please click here and leave a review below! * The pricing includes a 3 month promotional period for $1.95 and 21 months at $3.99 by using our links here on this page. Secure Backups: If you can rely on yourself to login to your cPanel account and generate your own full site backups, download them for safe keeping, and do this at minimum of a weekly basis, you can skip this option. But if you want peace of mind, the cost is only $12/year! Please remember though, never trust any hosting company with your valuable data you’ve worked so hard to add on your site(s). Always make your own backups (if you use this, at least bi-weekly)! 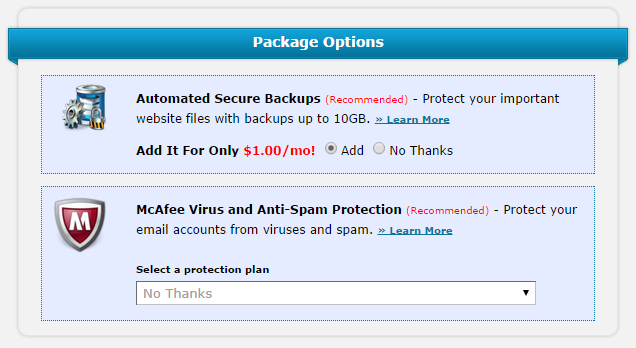 McAfee Protection: Skip this. Hosts have automated systems in place to scan for these issues and eradicate them anyways. Web Hosting Hub provides a full 90-day money back guarantee which states if you are not happy with the service within 90 days, you can request a full refund minus any domain registration fees. Web Hosting Hub’s “Unlimited” Policy is designed for the typical needs of a personal, micro, or small business. For example, it is not intended for computationally intensive software, large file repositories, as a backup system, as a free file download system, as a data warehouse, as a video archiving site, or other uses suitable for a dedicated server. The Web Hosting Hub brand is represented by InMotion Hosting which has an “A+” rating with the BBB and is BBB accredited. The company has had 58 complaints in the last 3 years with 24 closed in the last 12 months. “Web Hosting Hub have been great to deal with when it comes to domain registration and hosting. I’ve had a really good experience for a number of years which is why I continue to renew my service as well as introduce their services to more of my clients. Web Hosting Hub does not currently offer a plan that specifically offers everything you’ll need to accept credit cards on your website. After you join, you’ll need to make a few requests in the cPanel account to get everything you’ll need. • Dedicated IP Address: $2.95/mo or $35.40 per year. • Private SSL: Web Hosting Hub does not appear to offer a private SSL solution, therefore, you’d have to purchase your own from a 3rd party like RapidSSL and then install it on your domain (their support will help you free of charge). If you don’t need to accept credit cards directly through your website, you can use their provided free shared SSL for the checkout process and then transfer the client to your 3rd party credit card processor (most shopping carts support this). 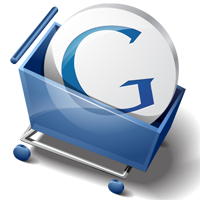 WHH also includes Softaculous which will allow you to install shopping carts with 1 click. The carts available for the auto-install process is Cube Cart, OSCommerce, ZenCart, and more. Telephone Support: Toll-free 24/7. Available for all departments. USA based support. International telephone numbers for support are available. 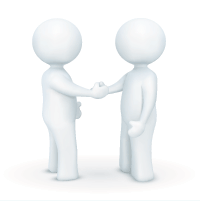 Email Support: Direct email addresses to all support departments. Helpdesk Ticket System: Available for all departments. Support Center: Available with tutorials and guides for various topics. Social Networking: Google+, Facebook and Twitter. I signed up with Web Hosting Hub little over a week ago to migrate a site from a DreamHost account. I actually was choosing between WHH and IMH so this article is very pertinent. Unfortunately, early signs are not good. I am frequently finding myself unable to update/access the site because of lost connection to the shared MySQL instance. I have been advised that heavy load on the hour is causing the problems, so I am undoubtedly falling foul of using shared / unlimited resources. For the past hour I’ve not even been able to access my cPanel. Despite the obvious hassle I will have no choice but to invoke the 90-day money back pledge and move the site elsewhere as clearly there is no point hosting any site that you want to be available publicly if it’s inaccessible several times every day. Review has been verified. Hey Nick, this surprises me. 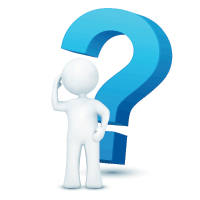 Can you send me your domain in private email (contact form) so I can verify your domain please? I’d recommend choosing IMH (use our coupon) because they don’t allow “unlimited everything” and limit the total domains per account. This, in itself, goes a long way in reliability. So, in the interests of fairness …. to complete the story (I hope). I complained about the database going offline and got a response that some heavy activity (not by me) on the shared db server around the top of each hour was adversely affecting performance. They were looking into it. And I am very pleased to say that after a few more days of the same problems I have since not experienced anything like the same frequency since, now hardly ever have problems either accessing, or uploading to, the site. I guess I just got unlucky signing up at the time I did … and lucky that the support team listened to my complaints and took action. I’m still using WHH and now intend to continue to do so. Nice Nick. I appreciate the followup! That’s awesome of you. These really are good people, I love working with InMotion / Hub myself and they have handled my issues as needed.